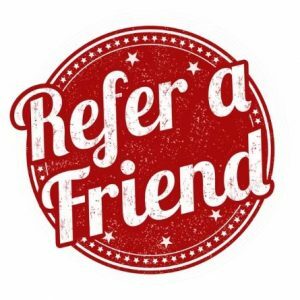 You can now earn $100 in credit when you refer a friend! 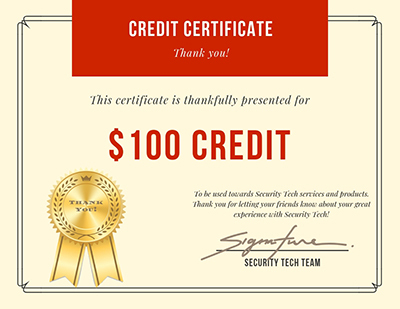 Receive credit to use towards your own security services while your referred friend receives the same $100 credit for theirs. Your friend can now enjoy the same benefits you already have – peace of mind – with a 24/7 monitored Security Tech Hawaii security system. If you’re happy with us, consider letting your friends know. For each referral that results in the sale of a new monitored security system, we will automatically credit your account with a $100 credit towards services or new equipment. Apply this to your monitoring service or towards that new upgrade you’ve been wanting. Plus, the new friend whom you referred to us will also receive a $100 credit to use towards their security services as well! To take advantage of this offer, please fill out the form on this page or call us directly with your referral. If the person you refer to us signs up for security services, a $100 credit will appear in your account within 60 days of the time their services start. We sincerely appreciate your referral and having you as our customer. Thank you for letting others know about us.